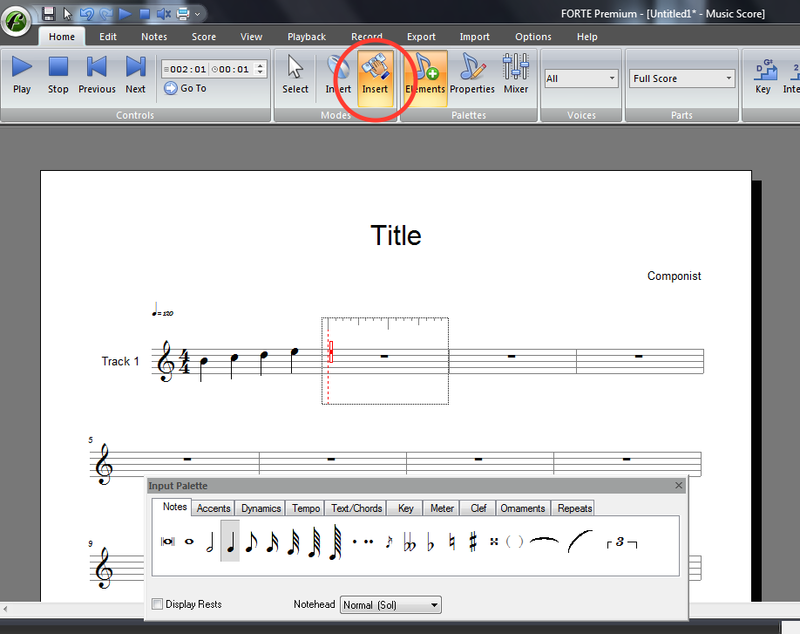 Forte Premium 6 music notation software is the answer for musicians seeking an affordable and powerful notation product. 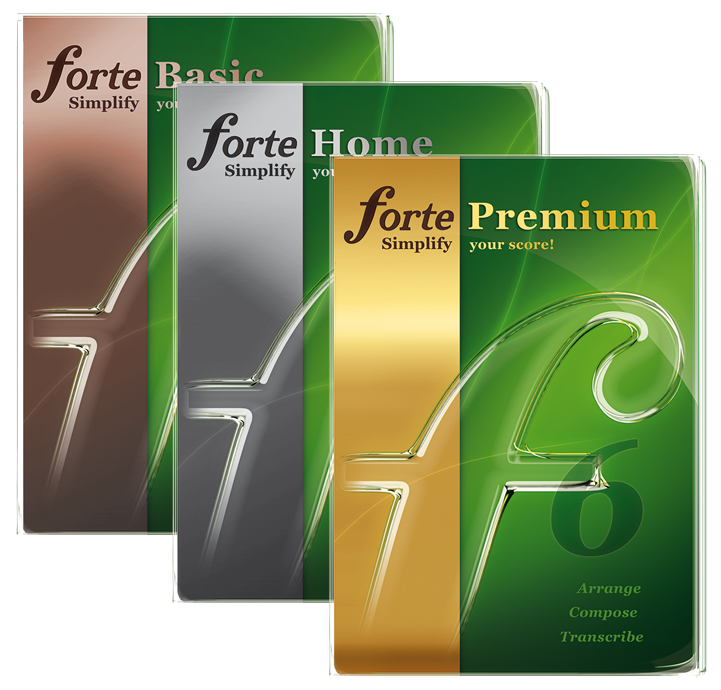 Note: I received a copy of Forte Premium 6 for free and I have been hired to write a review. That said, I am presenting my honest appraisal of the product, having used another leading music notation software for 20 years to create orchestra scores, choral scores, and rhythm charts. The first thing that caught my eye about Forte was the price: $229 for the premium product. Other leading music notation software costs more than twice that much (1, 2). The second thing I noticed was the simple layout. 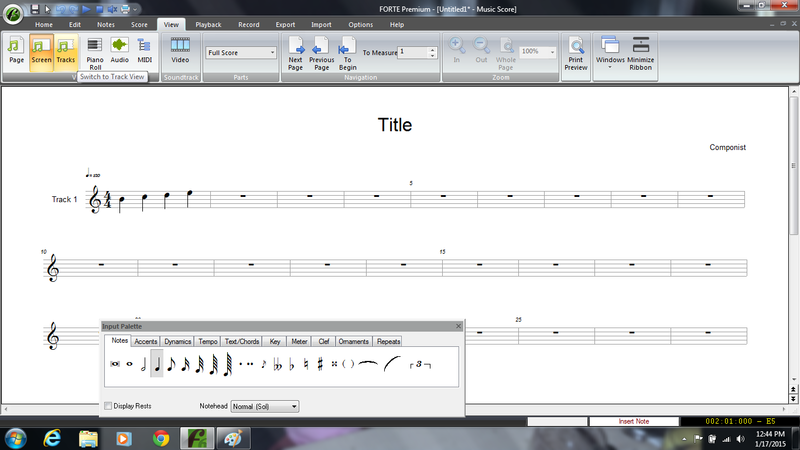 The toolbars were easy to read and I was able to start writing music fairly quickly. Click note-by-note works faster than Finale because the cursor “snaps” to the next beat subdivision and rests place themselves, allowing you to enter notes anywhere in the measure and not worry about parsing out the rests. I found myself using this method most of the time. Insert using the computer keyboard is fairly fast once you have set the parameters for how far above or below the staff the cursor can go. I used this method some of the time and became fairly effective with it in a short amount of time. I was not able to test the Midi input via keyboard at this time. The various Views were unique and very useful. I particularly like the Screen view, which fits the staves to the size of your monitor. Perhaps my favorite feature is the ability to use the cursor to click on and edit anything in the score, without first selecting a particular category from the Input Palette. I could click on names of tracks, dynamics, text blocks, or anything else and immediately edit those objects. I tested the XML export feature and exported my score to another program successfully without losing any notation. Mac users will have to watch from the sidelines at this point, seeing as Forte is only available on PC. Advanced composers may encounter a few complexities editing some layout details (cross-staff notation), a few language bugs (“Componist” instead of “Composer”, “Zurück” instead of “Back”), and one or two kinks that need to be worked out (Every time I began inputing music using the Click note-by-note method the cursor would snap back to the beginning of the piece, which is annoying when you are 50 measures away). 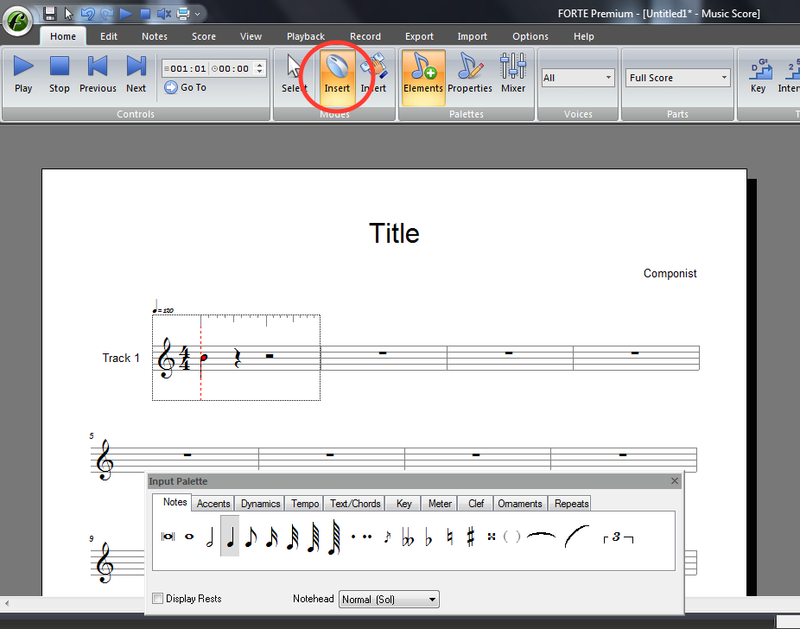 The bottom line is that Forte Premium 6 Music Notation Software is a solid product and can offer you more bang for the buck than any other music notation software in it’s price range.